CHAPEL HILL, NC – On a balmy Saturday October afternoon, the Clayton Bootleggers traveled to face off against the North Division leaders Chapel Hill Warriors in a double header of rugby action. The Bootleggers D3 squad returned to play after almost a month off due to issues stemming from Hurricane Matthew earlier in the month. The Clayton 2nds were able to get in a three-way scrimmage last weekend to shake off some rust. Chapel Hill brought an undefeated record into play while the Bootleggers came into the match with a 2-1 record this season and 1-1 in D3 play. The match started off fast and furious with Chapel Hill showing clear intent from the very start. With a sharp back line and surprisingly quick forwards, the Warriors took the attack to Clayton from the opening kickoff. Within the first fifteen minutes of play Chapel Hill ran in three tries, all of which were converted, to take a 21-o lead. The Bootleggers got on the board in the 18th minute with a try from Captain Simon Potter off of a well worked series of phases. Clayton looked solid in attack throughout the match, but the Warriors did well to starve the Bootleggers of possession. Chapel Hill answered back with three more tries to take a 38-5 lead before Clayton added their second try from fullback Ted Chapman who ran a nice line and raced in for the score from almost 40 meters out. The score cut the Chapel Hill lead to 38-10 as halftime drew close. The Warriors tacked on one more try just before halftime to push their lead to 45-10 going into the break. The Warriors kept up their pressure to start the second half as they added four tries in the next fifteen minutes to push their lead to 69-10. With the match pushing into the final quarter of play, the Bootleggers showed a bit of life. A 60th minute try from wing Anthony Crumity brought the score to 69-15. The two sides then traded scores for the remainder of the match with each club adding two tries to their totals. No. 8 Gareth Davies and Inside Center Stuart McKenzie provided the scores for the Bootleggers. “Offensively, we did a good job moving the ball and putting pressure on Chapel Hill. We should have scored a few more tries,” added Munro. The two squads followed up their entertaining D3 match with an equally entertaining B-side match. The match started much as it did in the first match of the day with Chapel Hill mounting pressure against the Clayton defensive line. The Warriors rushed out to a 22-0 lead in the opening twelve minutes of play. Clayton answered back in the 15th minute with a try from Lock Derek Braun. The conversion was also added by Braun to cut the score to 22-7. Chapel Hill B’s added two more scores before halftime to take a 34-7 lead into the break. The Warriors came out hard to start the second half and added four more tries in the opening ten minutes to take a commanding 56-7 lead. With the squad reeling, the Bootleggers dug deep and finally began to control some possession as the match moved into the final twenty minutes. A try from Anthony Crumity and conversion brought the score to 56-14. Chapel Hill added another score with five minutes to play before the Bootleggers made one final push as time drew near to close. Clayton strung together a nice series of phases, along with drawing a few penalties, to mount an attack on the Chapel Hill goal line. With time expired, Lock George Allen crashed over for his first try as a Bootlegger. The conversion was added and closed the scoreline at 61-21 in favor of the Chapel Hill Bs. 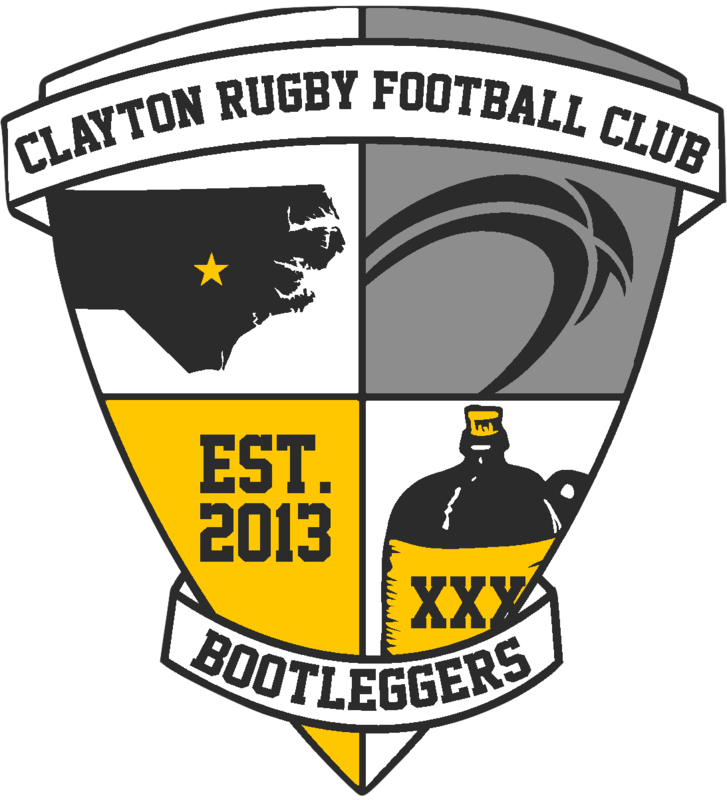 The Bootleggers return to action in a couple of weeks when they take on the Duke Grads in a D4 match on Friday November 18th. They follow on Saturday November 19th with the D3 side taking on Camp Lejeune.